Hello! I hope everyones had an amazing Christmas! 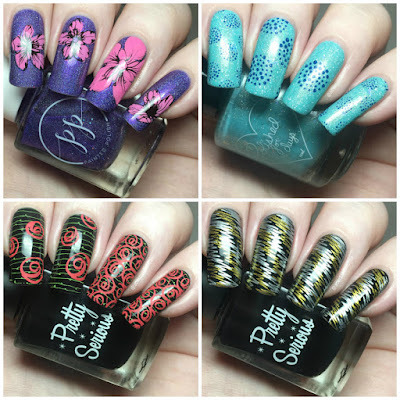 Today I have another new UberChic Beauty release to share with you, courtesy of Annette over at Rainbow Connection. Yesterday, UberChic released another three plate collection, Collection 23. 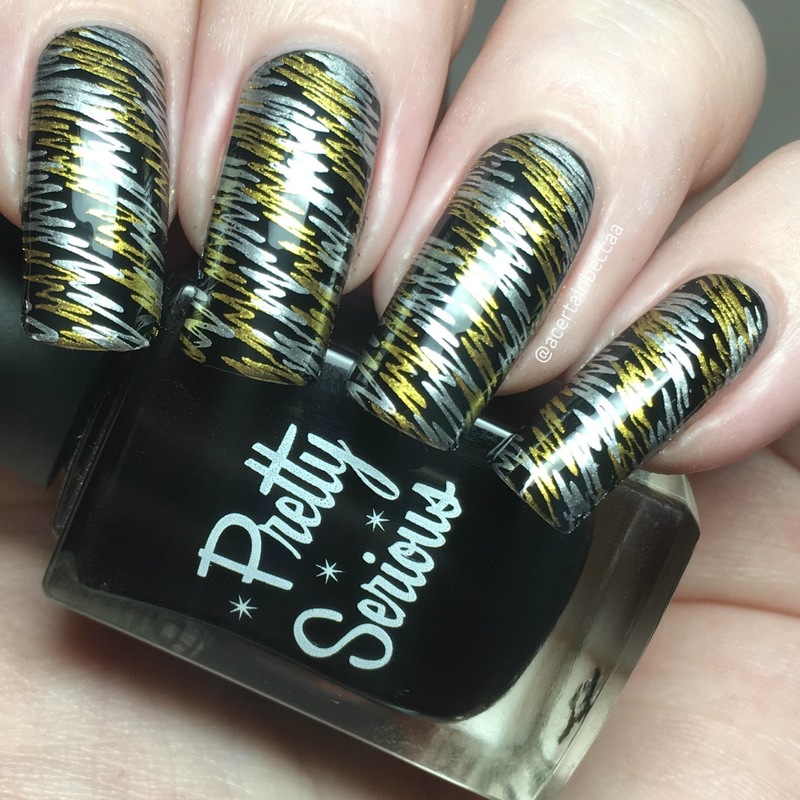 I've created a mani with each plate along with a bonus mani. Read on to see each one and for more info! 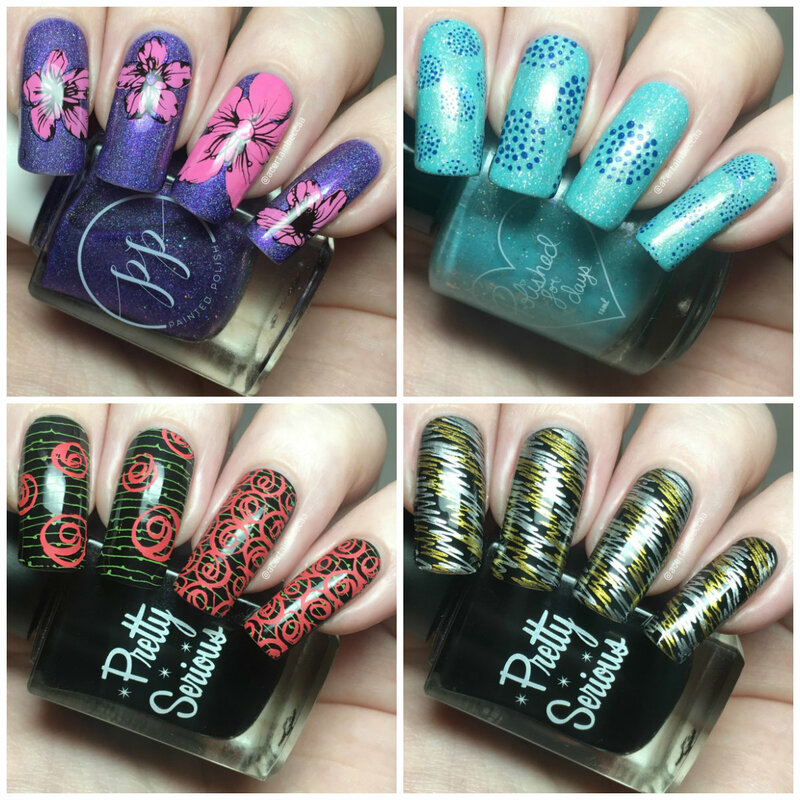 Before I get into the nail art, here's a quick look at all three plates. 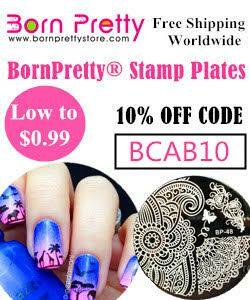 As usual, there is a massive variety of images including those perfect for layering, double stamping, reverse stamping, making decals, and good old fashioned plain stamping. For 23-01, I wanted to have a play with the layered flowers. Over a base of Painted Polish 'From Brooklyn, with Love', I stamped the block colour in pink using Esmaltes Da Kelly 'Kiki', followed by the outlines in black. 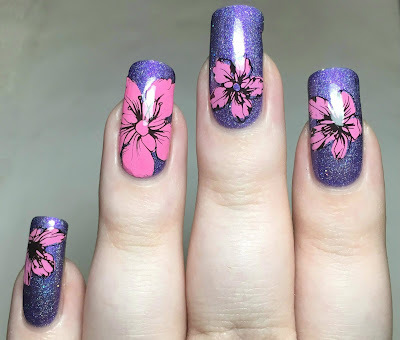 On my ring nail I made reverse stamped one the larger flower towards the left of the plate, colouring it in with 'Kiki'. For 23-02, I used on the dotted circle images. I kept it fairly simple, stamping straight onto the nail using Painted Polish 'Boating in Blue Jeans'. 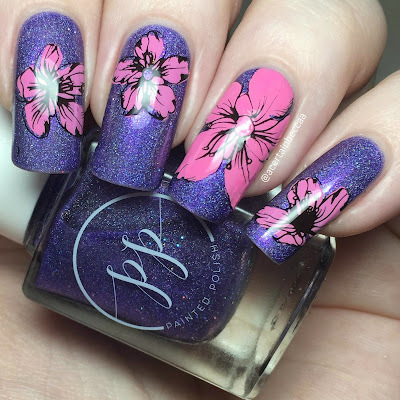 I stamped the full image onto my index and pinky nails. 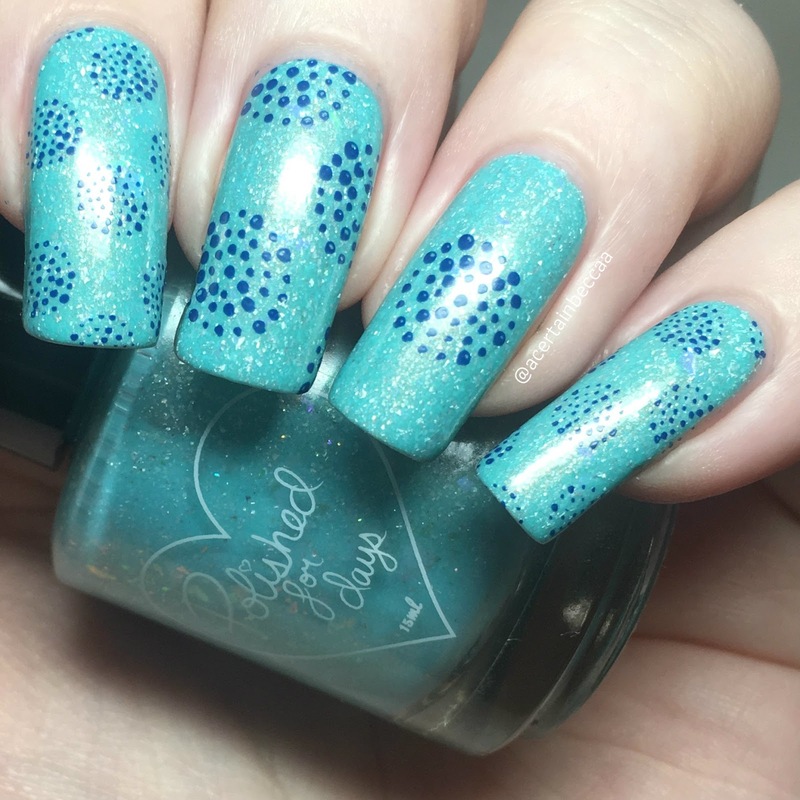 For my middle and ring nails, I stamped the singular, large circle image. My base polish is Polished for Days 'Aguae'. On plate 23-03, I kept getting drawn to the rose pattern. I decided to pair it with the plant stems/vines image. I started with a base of Pretty Serious 'Absence' and stamped the stems using Painted Polish 'Stamped in Greenery'. 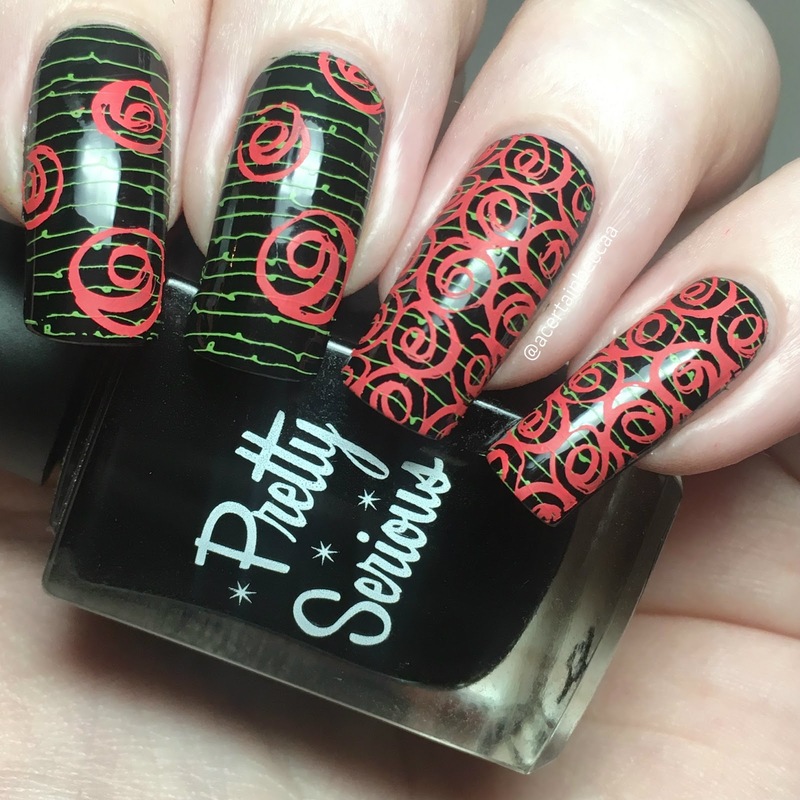 On my index and middle nails, I stamped the full rose image. On my ring and pinky nails, I stamped some of the singular roses - both using Esmaltes Da Kelly 'Ulli'. Finally, I went back to plate 23-03 for some double stamping. Again, I used a base of Pretty Serious 'Absence'. I then stamped the squiggly diagonal lines in gold before stamping again in silver. I was channeling New Years vibes for this one, and I think it worked out quite well! What do you think? As always, I couldn't find a negative thing to say about these plates if I wanted to! They are perfectly etched, pick up first time, and transfer crisply. I have also yet to find a stamping polish that doesn't work alongside UberChic plates. UberChic Beauty Collection 23 is available on now the Rainbow Connection website here. All other brands mentioned are also stocked on Rainbow Connection. All orders placed over the holiday period start shipping on January 3rd.